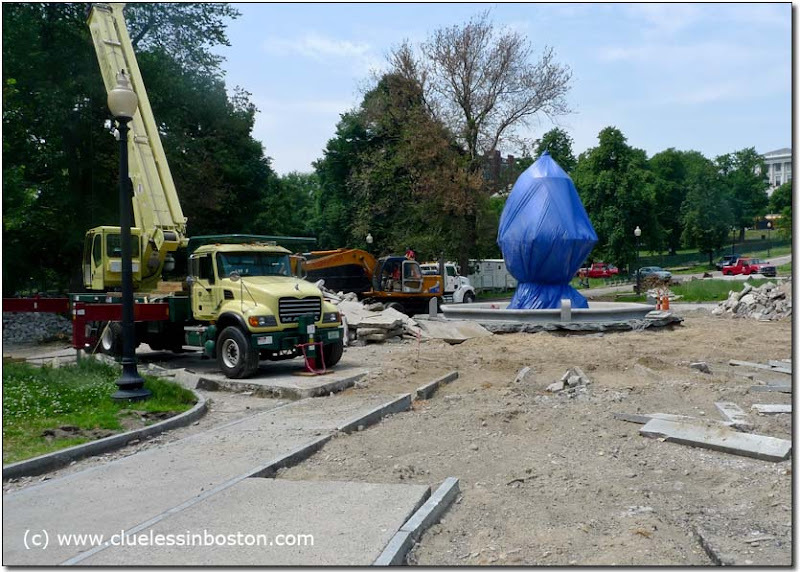 The plaza between the recently renovated Brewer Fountain, covered in blue, and Liberty Mall on the Boston Common is being given a makeover. The update to the plaza began in March and is scheduled to be completed this month. The project is a collaboration between the City of Boston and the Friends of the Public Garden. The plaza is on the Tremont Street side of the Boston Common and is within sight of the Massachusetts State House. Always nice to see this kind of work done. Good to see the fountain is protected! A little way to go. Would love to see it in it's completed state, look forward to it.